''''Winter''''. 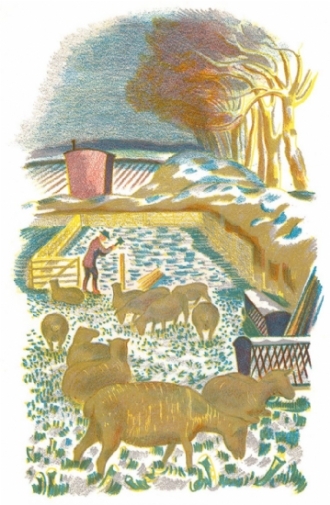 Original lithograph printed by Curwen, 1939. Measures 22cm x 13cm. Mounted.